Jane Corwin won Livingston County by a spread of 47-42. Jane Corwin won Monroe County by a spread of 45 -44. Jane Corwin won Orleans 47-40. 10:41 pm: News sites are still slow to update returns. 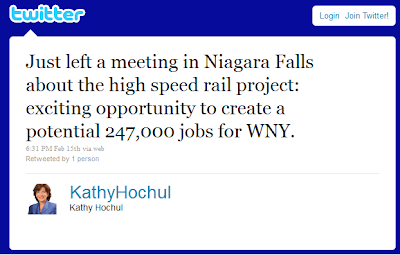 While the media will spin this race as a referendum on Paul Ryan's budget plan, we all know that it was Hochul's genius to double the population of Buffalo with high speed rail that really put her over. 10:21 pm: Websites stopped updating regularly, so we are waiting for the final vote count. The big question will be, was Davis a factor? Current tally says no. - Erie County: Approximately 2,200 out. No firm number on the number returned. That will be tallied tomorrow. - Monroe County: 924 out, 422 back. - Orleans County: 213 out, 132 back. - Niagara County: 1,101 out, 733 back. - Livingston County: 521 out, 375 back. - Wyoming County: 250 out, 234 back. - Genesee County: 633 out, 415 back. Note that Hochul strongholds are at least half the ballots. Unless the end count is very narrow...we will not have the race drawn out. 10:10 pm: Concession from Corwin? 10:08 pm: AP calls it for Hochul! 10:06 pm: 66% of precincts are reported and Hochul has about a 4,500 vote lead...nearly all from Erie County. Many of the other counties have yet to be counted. 10:03 pm: Half of Wyoming is now counted, Corwin is winning by a spread of 14 points. 10:01 pm: Still no reporting from Genesee and Orleans counties. If turnout was in fact high in these counties, Jane Corwin emerge the winner. 9:56 pm: Livingston County is fully counted. Corwin wins by a margin of 5%. Not a poor showing. 9:54 pm: With 50% of the precincts reporting Davis isn't going to be pulling above an 8%. This will likely be a close race. 9:45 pm: Hochul is coming on strong in Erie County. 1/2 the districts reported in Erie and Hochul has a 17 point spread on Corwin; the Siena Poll had a 12 point spread. GOW counties have only yet to trickle in with reporting, but it is definitely a good showing for Hochul. 9:40 pm: 2/3 of Livingston County is counted, it's swinging 4% to Corwin. Not an overly powerful number, but better than the Siena Polling results. In case you just joined, I'm using last weekend's Siena County by County polling as a base line. If Corwin outperforms the polling, she should win. 9:36 pm: Jack Davis is taking double digits in home Niagara County. 1/3 of Monroe County is counted and so far Hochul/Corwin are split (good for Corwin). 1/4 of Erie County is counted, Hochul is out performing her Siena Polling in Erie. 9:28 pm: Here's an update on standings...of the counties Corwin is strongest, only Livingston County is reporting at the moment. So far Davis is doing well in Niagara and Erie, but mid-single digits outside. 9:25 pm: For an election all about mediscare, I seem to hear a lot of pundits spending all their time on Davis' performance. It's like there is some other, non-referendum reason the race is tilting Hochul? 9:19 pm: Initial numbers are pouring in. So far, mostly from Hochul dominated areas, but at first blush, it looks like both candidates performed very well in the areas they needed to win. 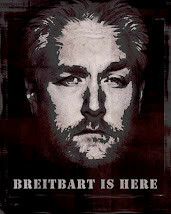 9:17 pm: Stacy McCain also live blogging from his digs. He reports "Still tied at zero"
The bulk of the voters are in Erie and Monroe but it appears voters in the so-called GLOW (Genesee, Livingston, Orleans and Wyoming counties) area of the district are turning out in greater numbers. 9:04 pm: Corwin campaign reports strong turnout for their key counties. The Corwin campaign is reporting higher than expected turnout in rural counties such as Genesee, Livingston, Orleans and Wyoming. They report turnout there is 35 to 40 percent, which bodes well for Corwin. They report turnout in Erie, Niagara and Monroe is much lower, around 20-25 percent. 7:19 am: NY-26 is my home district and I'll be checking in and out throughout today to give election updates. Tonight, I'll be live blogging the returns. Also, I'm toying with showing up at Jane Corwin headquarters for some shoe leather reporting. I haven't made up my mind (it's early in the work week), so leave me a note in the comments if you'd be interested in having someone reporting live from the trenches. As I've pointed out, the race is really about Jack Davis' spoiler potential. 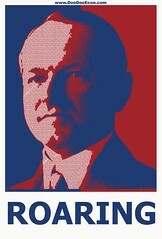 The lower he performs today, the better the chances of a Corwin victory. So the question is: Are 13 percent of voters really going to vote for crazy Jack Davis? Also of note, many of the undecideds in the weeks rolling up to the election are Republicans. So, the outcome of the election is up to Republicans to win or lose. They can fall for the fake Tea Party candidate in Jack Davis or the real conservative Jane Corwin. 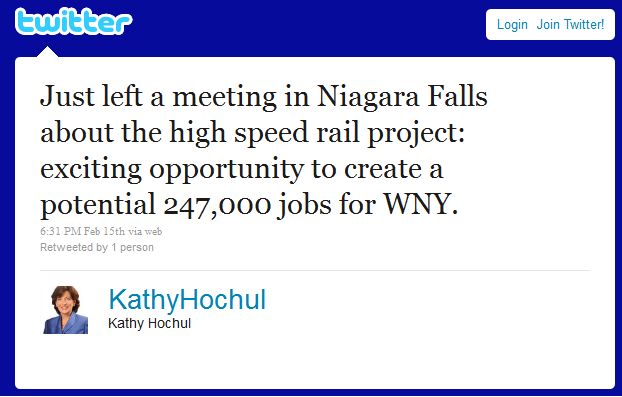 If Albany is the problem, why is Kathy Hochul running for congress? I don't understand why we have undecided Republicans. 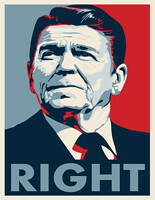 A vote for the Republican is a vote against Obama and the Policies he and the Democrats are promoting. The decision is simple, are you for the Obama/Democrats policies or not?